This is a square Colonial Lubrication Service porcelain sign. 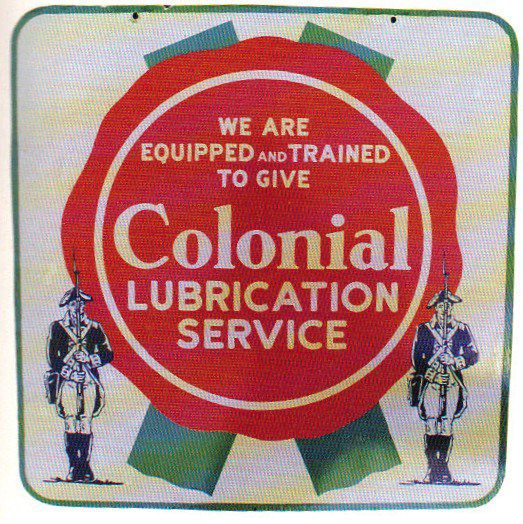 This particular Colonial Lubrication Service sign features a red seal with a white back ground. It reads, “We Are Equipped and Trained To Give Colonial Lubrication Service” and has a blue Revolutionary War soldier in each lower corner.